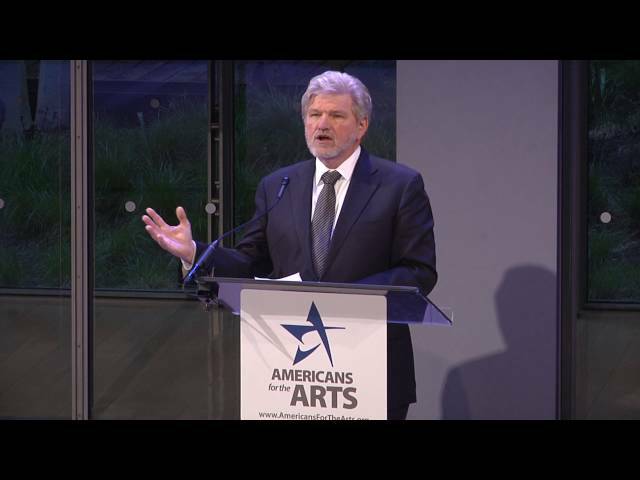 In 2016, Americans for the Arts kicked off a new lecture series, The David Rockefeller Lecture on Arts and Business, in honor of the anniversary of David Rockefeller’s influence and action in bringing the arts and business together for mutual benefit. This year’s lecturer was David Rubenstein, Co-Founder and Co-CEO of the Carlyle Group. He was introduced by acclaimed singer Renée Fleming and the Jazz at Lincoln Center Blakely Youth Ensemble performed.